Easy to find what you need. Keeping these three goals in mind will help you to use the following 4 easy steps to create a system which works for you. No filing system is perfect. You always have to weigh the cost of having a detailed system which makes receipts easy to find with the time it takes to file those receipts. Here are four different systems with the pros and cons of each. With a binder that has index cards to separate receipt types, you can easily find what you need. 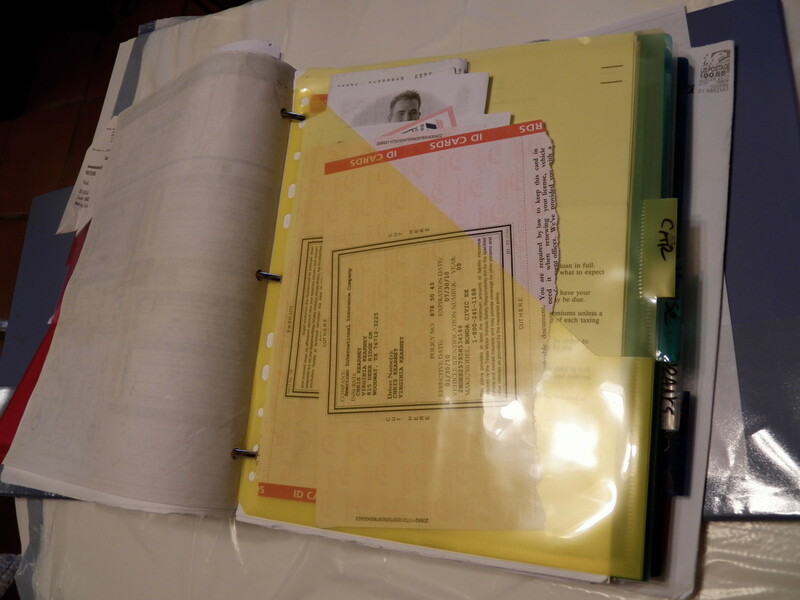 This system works best for people who often go back and look at receipts because you can easily flip back and forth to different sections and because the binder keeps the papers in order. If you always file new papers either at the front of a section or the back, you can quickly look through the receipts chronologically. 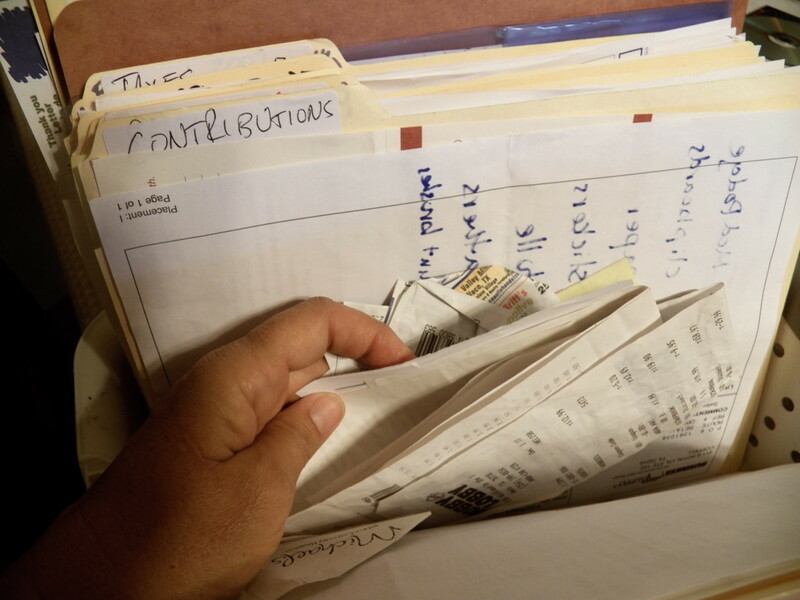 I used this system for organizing the receipts of my husband’s parents when he had guardianship over them because we were required to make regular reports on their income and expenses, and I needed to be able to find receipts easily. Easiest to keep files in order of the month. Neat and easy to keep on a bookshelf. Limited by the size of the notebook, or you can use more than one. 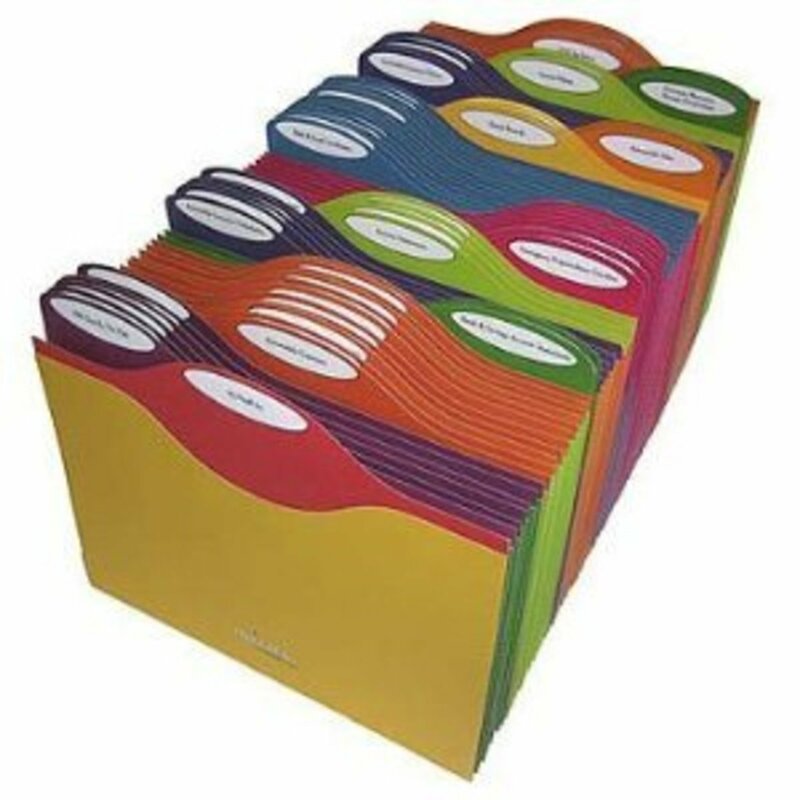 The file folder system is the easiest and fastest system to use, so you have a better chance of actually keeping things organized. After falling 6 months behind in filing my notebook system for our family receipts, I finally decided to go back to file folders. 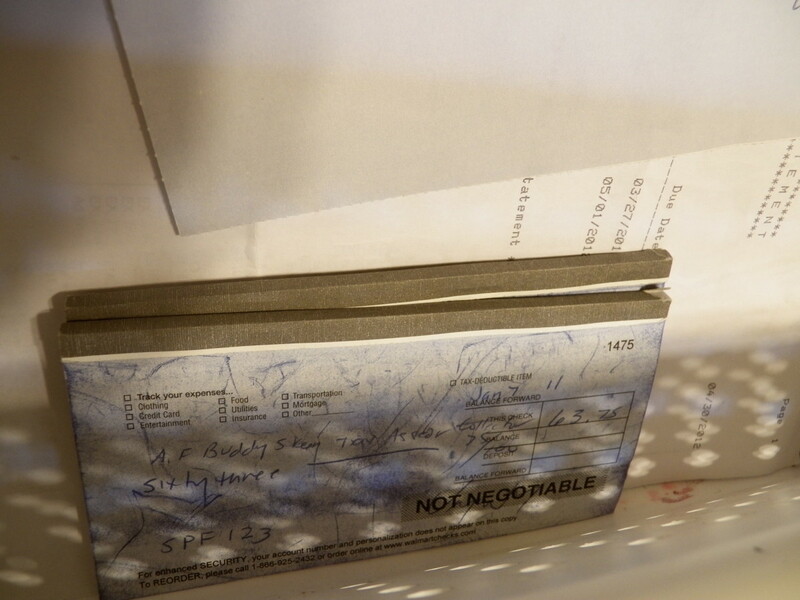 I put unfiled papers in the front and generally put them in place when that front area is filled or about once a month. Hint: keep papers you know you will need later in a file together. 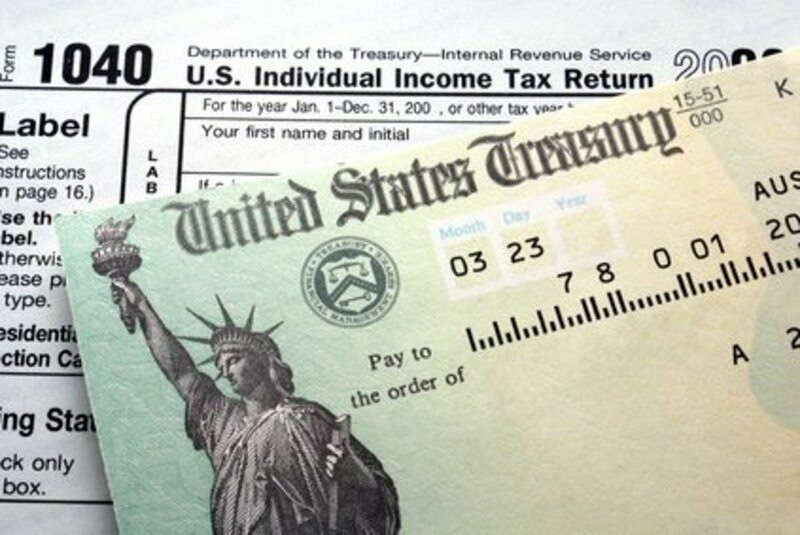 I put all my tax information, including charity contributions, in one file. Just need file folders and file cabinet or box. Expandable to any size and number of files. Harder to find a paper than Notebook System. 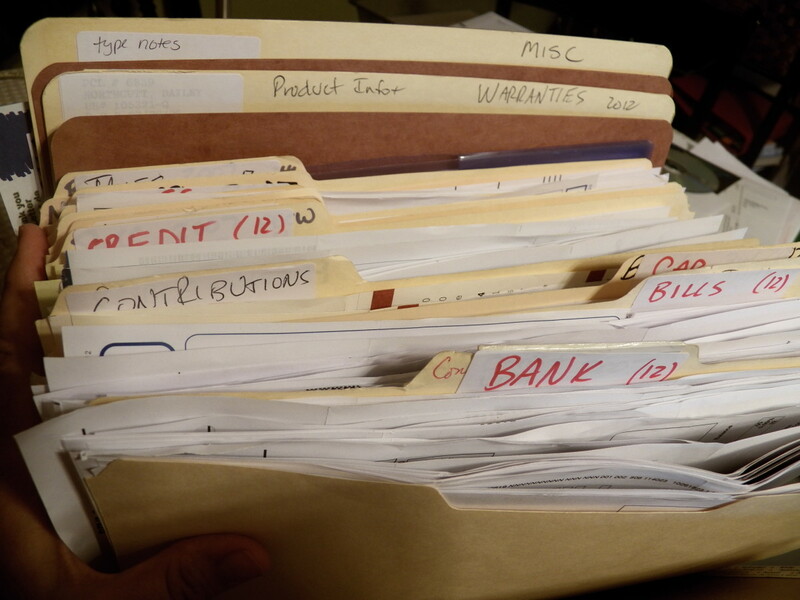 For a smaller organizing project, grab an expanding file that has sections and tabs. If you are a student with just a few types of receipts, or if you want to organize receipts from a project like a house renovation project, this is a great way to do it. 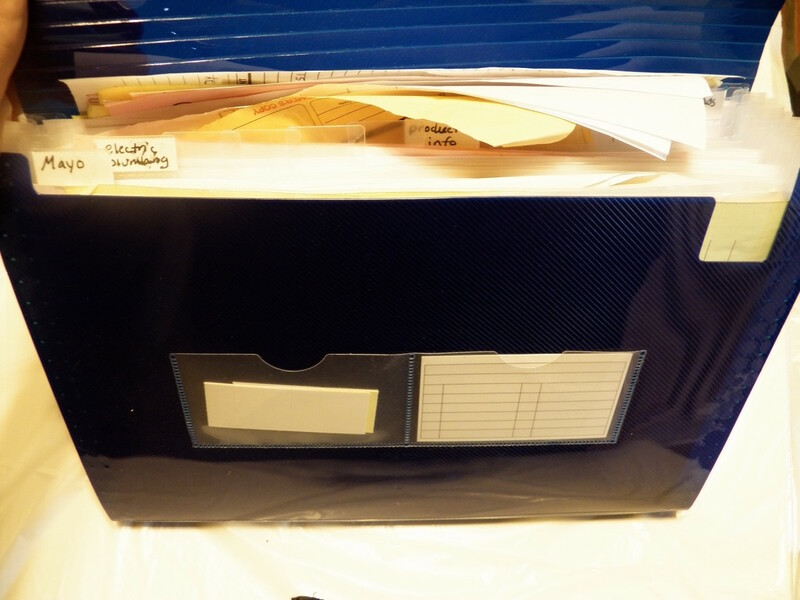 I also used this system for all the paperwork for our adoption and I often use a small expanding file for vacation plans. Keeps everything in a neat, portable file. Great for organizing receipts you want to keep permanently. Good for small batches of papers. Doesn't work for lots of papers. 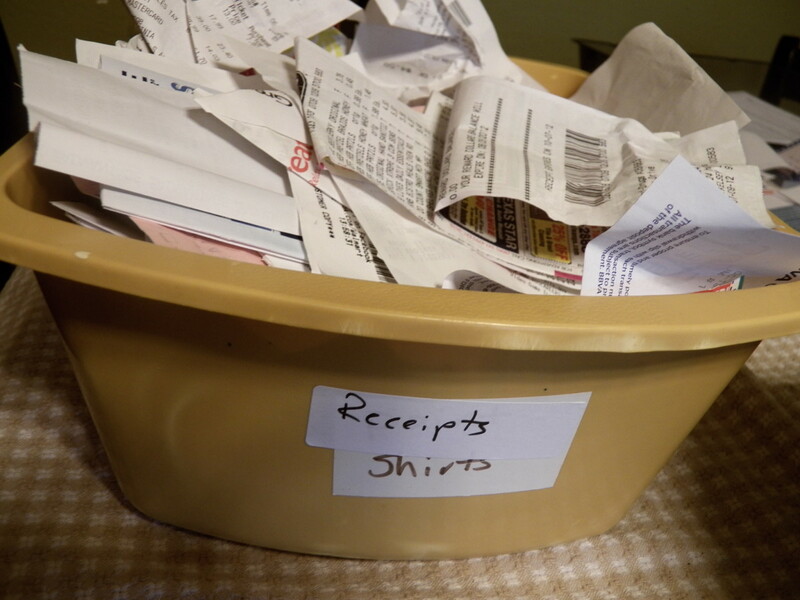 What is your biggest need in organizing receipts? Organize Digital Files: don't just dump all your receipts into one file, spend some time creating your file groups and be sure to label each of your receipts as you create it or you will have a headache of having to open each one up when you try to find something. Backup: computer viruses or computer meltdowns can interfere with your system, so make sure you have your receipts on a computer which has a cloud back-up such as Carbonite. Digital receipts can relieve a lot of headaches in filing papers, but only if you are careful. You should be sure to actually download receipts of any important statements you might need later since many companies only keep a 12-month record of your statement receipts. For example, when I went to file a Credit Card Extended Warranty claim on a broken dishwasher, they required our original statement from 15 months previously. It wasn’t available anymore online, but luckily I had a paper copy. If you go all digital, avoid problems if you download your statement receipts as you pay them, or at least keep the end of the year receipts. No paper mess to worry about. Easily find your files on your computer. Print out only the ones you need. Keep records as long as you want. Easiest if you also pay bills and do banking online. If you invest in a hand scanner, you can digitize paper receipts easily too. Remember there is a difference between keeping and organizing. You don't need to organize every receipt you get, even if you do decide to keep them. 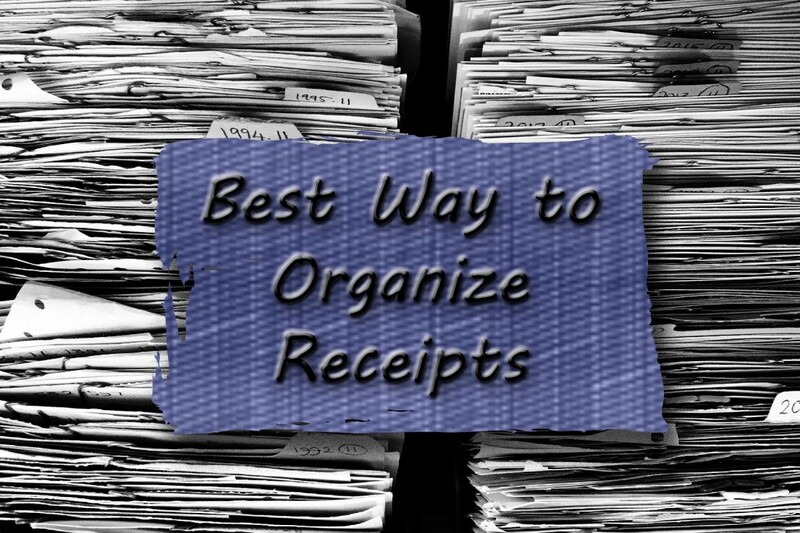 What you will want to organize are receipts you will need to retrieve later for taxes, returning items or keeping track of expenses. Trash Receipts You Don't need. You will save yourself a lot of time and trouble if you just throw away receipts you know you won't need again, or which you know you can access online. If you can't think of a reason you would ever need it, you probably won't, so throw it away! "Trash File" is a Way to Organize Too! If, like my husband, you can't quite bring yourself to throw a receipt away, then do yourself a favor and create your very own "trash" file box. We have one. It is a plastic bin that sits above my receipt files. Anytime I'm just not sure whether I should throw something away, I toss it in. 99.9% of the time, the trash bin gets thrown out untouched at the end of the year. For those few instances I have needed a receipt, the time it has taken to find it is far less than it would have taken to organize them all. Don't get tricked into too much work on this step. You want categories which are broad enough that you can re-use this system every year, yet narrow enough that no single file will be so crammed that you can't find a receipt you need. After you have your files labeled, then take the receipts you have and put them in the folders. As you use your system, you may need to make some changes like adding another folder or switching to a different filing system. Recently, I switched back from using notebooks to using file folders again because I found I wasn't keeping up with filing my papers often enough. How often should you file your receipts? If you file them as you get them, that's best. However, if you are like me, you may be too busy to do that every day. So, I usually have a spot in front of my folders where I put new receipts. Then, when I can't fit any more in, I know I need to file them. Generally, that means about once a month. The key to organizing your paperwork effectively is to not make it too complicated and to keep to the same system every year. That way, you will be able to automatically file things and retrieve them easily when you need them. It only takes about an hour to set up this system, and it is certainly worth the many hours it will save you in sorting through papers. Do you have any other ideas for organizing receipts? I hope you will share with us in the comments! Hi Sheila--thanks for the tip. That could be helpful for some people. Virginia, Thanks for the tips. It used to be so about me struggling with all my paper receipts. I want to add that digital receipts are also a lot of pain. Even if you found an easy way to cope with paper stuff you have to somehow find a way to keep track of both. I signed up for Veryfi app, they were called IQBoxy previously and really it took my pain away. It shows you the dashboard with your spendings against your budget, you can collect receipts by scanning with that app, upload from cloud storage, email to your personal email, and even dictate it. What I like is that it can break down my expenses into payment methods, and I can mark an expense as reimbursable. Whenever necessary I get a PDF report with a table and pictures of all my receipts. So handy and timesaving. They still have this free plan without monthly receipts number limit. Great way to organize receipts! Thanks Di! I really try to keep things organized with all my kids! Really great ideas! Enjoyed this article because it was easy to understand. 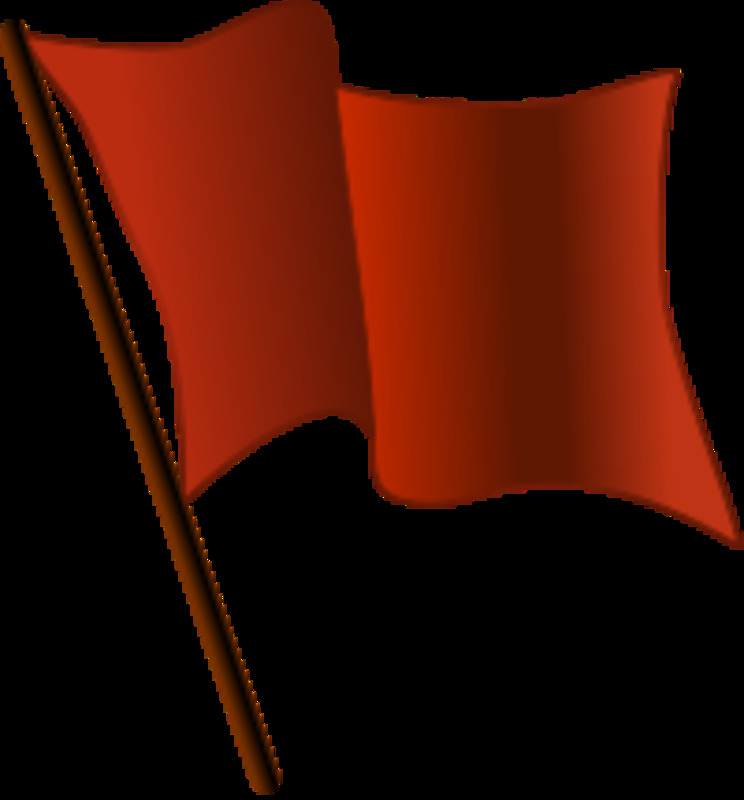 Under each of the different types of filing methods you put your opinion and personal experience with each of them. This made it easier for the reader to choose which method works best for them. This is really smart and very useful! I am horrible about keeping up with receipts and this has really helped me with knowing how to organize them and keep up with them. Thanks for the idea! I certainly have that problem too. I'm a continual re-organizer looking for the best method. I do think that the best method changes with different times of life. Virgina, great hub! I love how you itemized each method with its pros and cons. I try to keep all our receipts organized but my problem is that get behind in my systems. I tend to use a combination of two different file boxes. I probably need to trash more myself. Thanks for stopping by monica! Oh my goodness, I definitely know this feeling. In fact, I had let my system slide because I'd moved our family receipts to the notebook style after taking care of my in-law's estates. Finally, I realized I needed to go back to the file folder system where I can just drop them in. It makes it so much easier to find things! I REALLY need to start filing our receipts. Right now they are scattered all over the place, including my wallet in my purse. I know I have "that" one somewhere then three hours later, I've found it! It's not a system at all right now. More like a scavenger hunt! This gives some fabulous ideas to stay organised! Perfect for storing receipts for tax purposes! Thanks so much Marc. 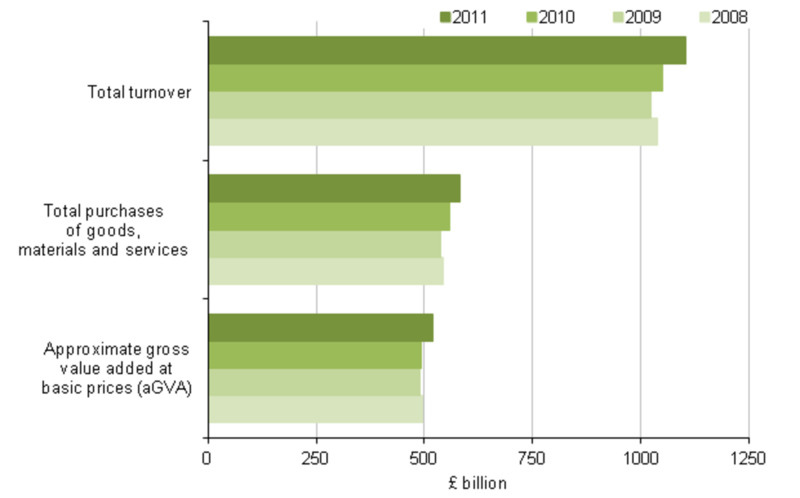 You are right that there are a lot of free cloud services too. I appreciate the sharing and I'm definitely checking out your ideas! Interesting and useful hub! I have gone digital with most of my necessary receipts and there are many online sites to store copies so you don't need to worry about data loss.